A multiple listing service (MLS) is a database of historic and current real estate listings in a local area. This database is created, maintained, and paid for by local members of the National Association of Realtors. It was established to allow greater cooperation between listings agents and buyer’s agents who may work at different brokerages. There are about 700-800 regional MLS databases in the United States. Each regional MLS has its own listings, and agents pay dues partly to list or access other agent’s listings on the MLS. Agents who want a wider and broader reach for their clients can sometimes become members of more than one multiple listing service. What Are the Advantages of Joining a Multiple Listing Service (MLS)? 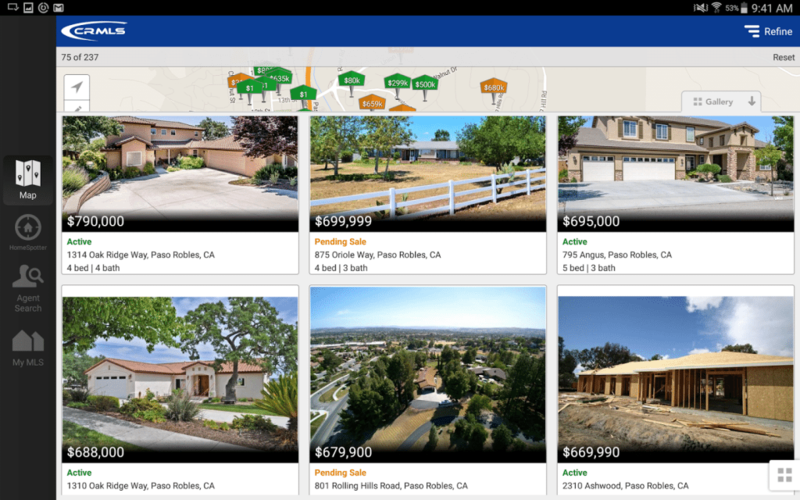 A multiple listing service allows all brokers in one region to share listings and previous sales data with each other. Without the MLS, brokers would have to create their own separate systems of cooperation, fragmenting rather than consolidating property information. They level the playing field so that the smallest brokerage in town can compete with the biggest multi-state firm. Multiple listings services also offer advantages for buyer and sellers of real estate. Sellers who have their homes posted on the MLS ensure it will be seen by the largest possible audience. Buyers benefit from the MLS. Since every Realtor who is a member of the MLS can show all homes in the database, they never have to worry about their agent not being able to schedule an appointment to see a home they like. How Does the Multiple Listing Service Work? When an agent signs an exclusive listing, they enter information (including photos) about the home into the multiple listing service along with price, commission, square footage, into the MLS system. Once it’s on the MLS, buyer’s agents can access the information as well as arrange showings for their clients. Once a listing is on the MLS, all members of that multiple listing service can co-broke the listing. That means two agents or brokers can view this shared listing and work together to complete the transaction and split the commission. Most commonly, this will involve one agent representing the seller, and one agent representing the buyer. A multiple listing service also has historical data on previous sales, tax information, as well as expired listings that Realtors and appraisers can research to help come up with a valuation for a home. What Is the History of the MLS? According to the National Association of Realtors, it was in the late 1800s when the MLS was first developed. Back then, real estate brokers and agents would gather regularly at offices of their local association to trade information about homes they were trying to sell, hoping this network could help connect them with buyers. It was in 1908 when the National Association of Real Estate Exchanges (now known as the National Association of Realtors®) endorsed the use of this system by all agents. From then on, it quickly caught on and evolved into the modern system in use today—online and fully searchable by price, neighborhood, and home features. Today, through more than 800 MLSs, brokers share information on properties they have listed and invite other brokers to cooperate in their sale in exchange for compensation if they produce the buyer. Sellers also benefit from increased exposure to their property from buyers online. Buyers benefit because they can obtain information about all MLS-listed properties while working with only one buyer’s agent. Can You List Your Home on the MLS Without A Realtor? If you’re a home seller, you generally can’t post your home directly to the MLS, because access to this database is limited to licensed agents and brokers who pay their local association. However, you can sign a contract with a Realtor to act as your listing agent. Once you hire someone, they will be able to post your listing on the MLS on your behalf. There are some services that allow homeowners to post their homes on the MLS for a flat fee. However, if they do not offer a commission for a buyer’s agent, most agents will ignore their listing. Home sellers who don’t want to pay a real estate agent’s commission (typically from 4%-6% of the sales price) can also list their home on a For Sale By Owner, or FSBO, site like Zillow rather than the multiple listing service. But remember, selling a home on your own isn’t easy. And according to NAR’s Profile of Home Buyers and Sellers, FSBO homes sell for less money—on average $39,000 less. This explains why only 8% of homes sold every year are FSBO, while most go through the multiple listing service. You can list FSBO, but that means that you are responsible for all showings, and if you don’t offer a commission to a buyer’s agent, then most buyer’s agents will simply not show your home. It’s easier to just hire a Realtor to do it, since attracting qualified buyers is what they do. A multiple listing service is a shared database of property listings created, maintained, and paid for by real estate professionals. It helps them to find buyers more quickly and efficiently than they could by creating their own. Includes basic information about the MLS that everyone should know when diving into real estate. Also, the article covers some history and stats that even pros will not know. Thanks Troy! I’m glad to know it has been helpful to you.